Choosing a senior living community for yourself or a loved one can feel overwhelming. There are many options for long-term care available, and it may be difficult to know what will best suit your needs. Doing some research is a good first step. And you'll need to arm yourself with a list of questions to ask senior living communities. 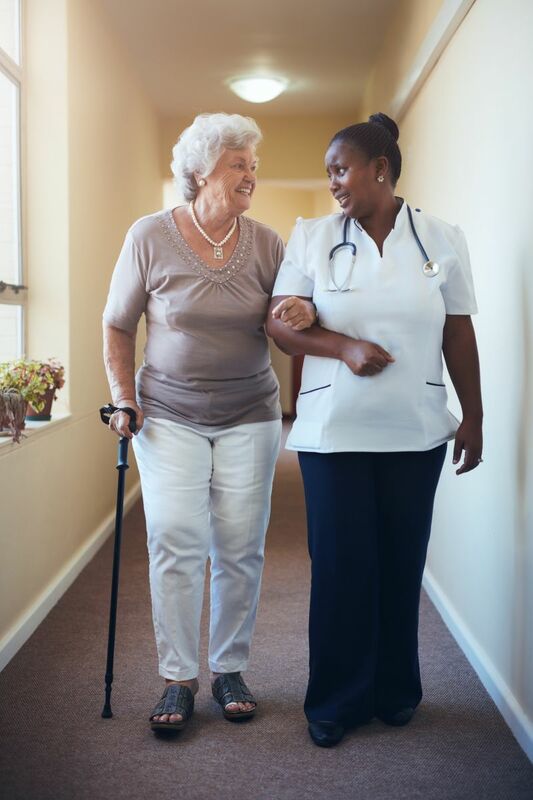 Skilled nursing is typically for people who can no longer care for themselves, and need the help of a nurse or nursing assistant 24 hours a day. Residents live in separate rooms, and may have a roommate. Assisted living is meant for people who need help with a few activities of daily living, such as bathing, dressing, cooking, or remembering to take medication. Residents live in private rooms or apartments, meals are provided, and nursing staff or nursing assistants check on residents each day. Independent living is for people who can take care of themselves, but want the convenience of someone else to do the cooking and cleaning. Those services are provided. Residents live in private apartments or condos, usually without someone to check on them or provide nursing care. Safety and quality of care are also important to list among questions to asksenior living communities. There are many rules and regulations that retirement facilities must follow. A good way to check on nursing home safety and quality is by visiting www.medicare.gov. The federal government does not have a website to check on the safety or quality of assisted or independent living. The Harvard Special Report A Plan for Successful Aging recommends contacting your state licensing agency (search on the Internet for your state's name and "licensing") and the Better Business Bureau for more information. 1. Is the facility licensed and operating legally? 2. Has its license ever been revoked—and if so, why? 3. Are recent inspection reports available? 4. How long has it been in business? 5. Are financial records available? 6. Can it supply satisfactory references? 7. What is the staff-to-resident ratio? 8. What training does the staff receive? Do staff and residents treat one another with dignity and respect? 9. Can you speak to residents about their experiences at the facility? Are they happy? 10. Are there educational and exercise programs, and clubs and opportunities to develop new hobbies and interests? 11. Is there an active residents' council, and what role does the council play in advising practices? 12. Does the facility have what you're looking for in terms of a private room, private bath, or stand-alone house? 13. Is the facility clean, attractive, and in good shape? 14. Does it have space for gardens, entertaining, or hobbies? 15. What meals are provided? Does the food suit your taste, nutritional requirements, and cultural preferences? 16. Are doors and locks secure? 17. Is someone on duty 24 hours a day, or is there an emergency call service? 18. Are medical services available around the clock? What does this actually entail? For instance, can the medical staff place intravenous lines, or do you need to go to a hospital for that? 19. Are there nurses on staff and a doctor on call? 20. Can those with physical disabilities get around the facility? Choosing a senior living community can take time, so it's a good idea to start your research sooner, not later. It may even help to begin looking well before you need to make the transition. After all, you may not be able to predict when a serious illness or accident will require that you make the move. Compiling a shortlist of potential retirement facilities that interest you, and creating a list of questions to ask senior living communities will ease some of the stress you may experience in this new chapter of life.